Mr. Abel died in hospital Thursday afternoon at 4.45 p.m. at the age of 64, surrounded by his wife Tracy, family, and close friends, his family confirms to The Auroran. He had been hospitalized since Sunday after collapsing at home, little over 24 hours after his eight-year time as Aurora’s Deputy Mayor, a position he retained over two consecutive terms, came to a close. His final act of giving was a double lung transplant to a patient in need, says the Abel family. In his final interview with The Auroran, which was published on November 15 following the October 22 Municipal Election in which Mr. Abel ran for mayor, he said he would always look back on his eight years as Councillor with a great deal of pride. “I basically came in from volunteer coaching in the Little League and, by the end of it, I was involved in several aspects of the community, whether it is cultural, supporting organizations or supporting youth,” he said, noting how much he valued the opportunity to serve on the Boards of the Aurora Seniors’ Association, the Aurora Sports Hall of Fame, the Aurora Cultural Centre, and more. He said he was particularly proud of the push he made at the Council table that helped lead to securing the land for what is now Mavrinac Park (formally Thomas Coates Park), advocacy for a new home for Dr. G.W. Williams Secondary School slated for Bayview Avenue at Borealis, the Town’s purchase of the historic Aurora Armoury at the northeast corner of Town Park, and advocating for a new Cultural Services Agreement between the Town and the Aurora Cultural Centre. Mr. Abel helped tackle the Cultural Services agreement in his earliest days on Council and said it was the issue that helped him “cut his teeth” and find his mettle as a politician. In looking back on the life and legacy of John Abel, former Aurora mayor Geoff Dawe paid tribute to this tenacity Mr. Abel had in standing up for what he believed, even if they didn’t always see eye to eye on the issue at hand. Indeed, music was another passion for Mr. Abel, evidenced in his work on many cultural initiatives, including the foundation of Music Aurora, which has spearheaded the popular Aurora Winter Blues Festival and numerous initiatives to support up-and-coming youth musicians. This is a commitment he was prepared to extend into the new Council meeting. 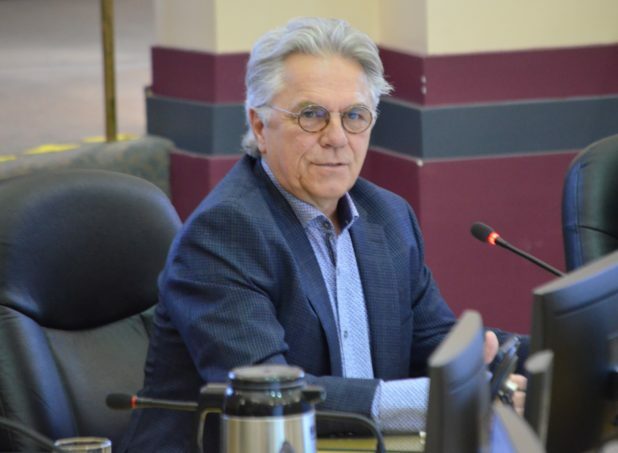 Although he contended that his political life was done at his final Council meeting last Tuesday and he was prepared to step back, he left on a positive note. John Abel is survived by his wife Tracy, their daughter Devon, her husband Ian, and their son Eric.